This week, I interview Josh Jenkins, Research and Development manager for Scientific Anglers. Josh, along with his crew, is responsible for all the cool new technology in fly lines. Floating lines are confusing because there are so many options, so Josh explains how they are made, why coatings and cores determine what kind of water they’re used in, and how tapers affect the performance of fly lines. Are double-taper and weight-forward lines the same for the first 30 feet? Is there any difference between a saltwater and freshwater line, or between a coldwater and warmwater line? These are questions I get asked all the time in the podcast, so I figured I would go to the ultimate expert to answer them. Why can’t I make my furled leader perform? Is my tippet too long or too short? What is Tom’s job? Does he get to fish at all? How do I set my drag for trout fishing? Can Spey casting be used in lakes? How should I target rainbows in the fall? Is that when they spawn? At what temperatures do bass become active enough to catch on a fly rod? Can I get some tips on making my golden pheasant crests behave? Is it worth it to prospect with a small dry fly in winter? Are there small trout streams that are just impossible to fish with a fly? What are the pros and cons of using a sinking-tip line instead of a poly leader? Can you help me decide between a 4-weight or 5-weight rod? Do you have any tips for when a head cement jar won’t open? What kind of watercraft should I buy for New England rivers? Do you have any tips for tying the tails on an RS2? How do I organize all the fly fishing information I encounter? Can bigger trout be caught on soft hackles? 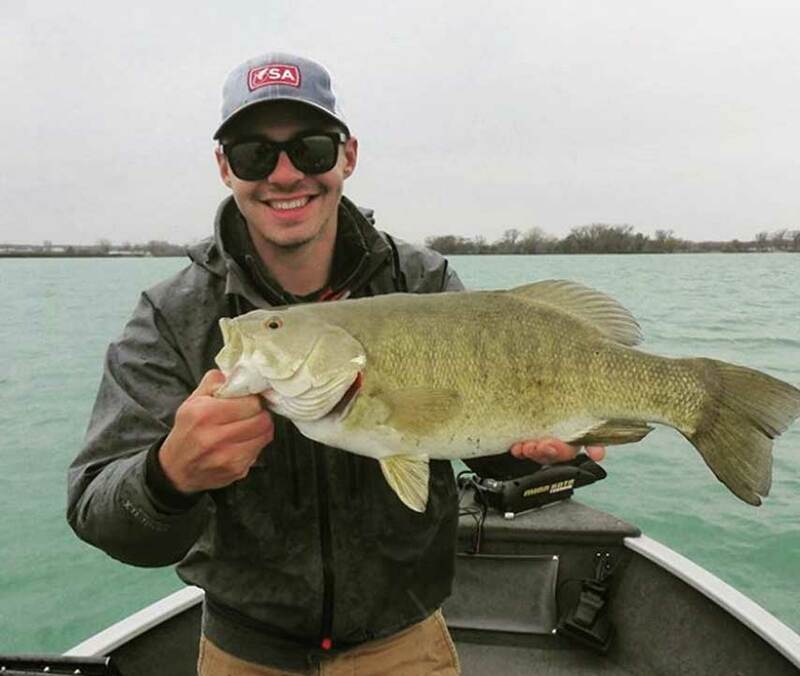 Josh Jenkins with a fat smallmouth from Michigan’s Lake St. Clair.